Exemplar of the Moderns, Katherine Mansfield (1888-1923), is reanimated by postmodern diva Kath MacLean in a tantric work of literary ventriloquism. But who is animating whom? "Sentences are punctuated with her rattle and cough; phrases burn with her fever. The world slants as she leans upon her walking stick to stroll out by the sea, or winces in pain when she moves her arm across a sheet of paper. To write, to record the stories living in her head with urgency and tremendous energy for someone so very ill, astounds, humbles, and inspires me to keep at it." 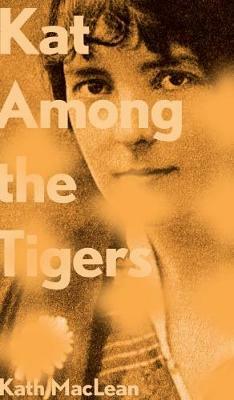 (Kath MacLean) Katherine Mansfield fans and scholars, and readers who appreciate poetry that refuses to back down, should read Kat Among the Tigers.